Adds the record and redundant index into an Application Designer project called REDUNDANT INDEXES. The record must also be added, otherwise Application will not generate a DDL script to remove the index. Unsets the platform flag on the redundant index if the superset index is active on the same platform. Thus Application Designer will generate a script to drop redundant indexes when the project is built. The redundant index definition remains in the record definition in case there is a need to revert the change. Creates and collects extended optimizer statistics on the combination of columns in the redundant index. If error ORA-00054 occurs, the exception will be ignored and the script will continue. Makes the index invisible. Note that indexes are not dropped. That can be done later by building an alter script for the project. It would be normal to test the consequences of making the indexes invisible for a while, and drop them later. The script commits any changes it makes. There is also a rollback command at the top to prevent it accidentally committing something else. Should you want to revert changes, mark all indexes in the REDUNDANT INDEXES project as active on Oracle. We can see in Application Designer that index PSAWRK_XREF_CALC is a subset of PS_WRK_XREF_CALC because both start with PROCESS_INSTANCE and SEQ_NBR. Index A was marked inactive on all platforms because the superset index _ is active on all platforms. 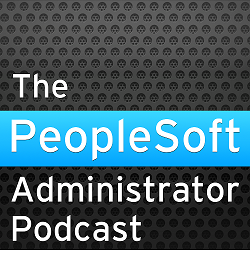 PeopleSoft delivers some indexes for some platforms only. For example, PSETREENODE is only active on Informix. Therefore the script only deactivates the Informix platform flag on PSCTREENODE, and the platform flag changes to 'Some'. The index is still added to the project, but no attempt is made to create extended statistics or to make it invisible, and the index continues to be built on Oracle. The comment applied to index C indicates that only the Informix flag was changed.